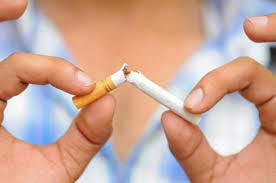 If you are visiting this page on my website you have already started to think about stopping smoking. In fact, you have probably thought about it for a while now or quite likely, you have tried at least once to give up. While the cost of smoking is a consideration for some the need to do something about personal health, or the desire to be around for family, children and grandchildren can be a real driver. Erectile Dysfunction – to name a few. The list doesn’t stop here. It is never too late to stop smoking and it will always be the wise and healthier choice for you and those who love you. Hypnosis is a safe, effective and proven way to stop smoking. By engaging the unconscious mind you have the ability to make the changes you require to stop smoking and beat that nicotine addiction. And, you can do this while remaining calm and keeping a constant weight. Don’t be fooled by the weight gain theory or temper tantrums. Like you have control of your smoking you have control of your responses as well. And, what is really exciting, you don’t need several visits – Stop Smoking is one 2 hour visit. Make the change today and contact me. “As a confirmed smoker I had tried numerous times to stop smoking and failed each time. I went to Christine and have been really impressed with the results – which are – I’m a non smoker for the first time in 20 years! What surprised me the most – was while I definitely had moments where I missed smoking – none of the cravings I experienced have been so intense that I have thought about really picking up that cigarette again.